Best Of The Forums - March 26th, 2006. This week our forum members share with us more about natural test boosters, a new product called Hyperdrol, restaurant dining and more. Check out these threads and give your thoughts. There are a lot of members on the boards and the number is only getting bigger. Some of the members are trolls, of course, while others are here to help and answer questions that people may have. This is a great thread to see which forum members are the most helpful when it comes to answering fitness-related questions. The thing about this thread is that there really are no wrong turns. Everyone that posted a member or members that they found to be really helpful, really are. If you ever have any questions about any bodybuilding-related topic, anyone that you select off of the list in this thread will probably be more than happy to help you out. If you see that there is someone blatantly missing, please add them to this great list, and make sure everyone knows who&apos;s who! Thanks to the beautiful &apos;cxm&apos; for this great thread. We all know that there are a lot of budding supplement company entrepreneurs on the site. This week&apos;s stupidest thread goes to one of them, &apos;Mynameis?????&apos;. 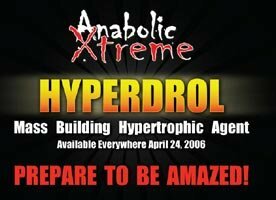 He claims that he has created the ultimate anabolic supplement. one ingrediant.....V8 Splash! Yum Yum." Good for him - at least he&apos;s got an imagination, I guess. Anyway, check out his revolutionary mix that will be on the market... never. A good laugh if you&apos;re feeling down. Some of the replies to the original post are great, too. Thanks for the thread and for the laugh! Natural Test Boosters - The Definitive Poll! A few weeks back, there was a thread in the &apos;Best of the Forums&apos; that discussed testosterone boosters and their effectiveness. This week&apos;s poll is along the same lines. &apos;PaulS&apos; is asking anyone that&apos;s used a testosterone ("test") booster to tell us how it went - whether it worked, how well, and so on. Poll - Have You Voted Yet? What Is Your Experience With Natural Testosterone Boosters? I&apos;m 30+ And Have Seen Good Results From Diesel Test. I&apos;m 30+ And Have Seen Poor Results From Diesel Test. I&apos;m 30+ And Have Seen Good Results From Blue Rhino. I&apos;m 30+ And Have Seen Poor Results From Blue Rhino. I&apos;m 30+ But Have No Experience With Any Test Booster. If you&apos;re interested in using a natural testosterone booster in the near future, this is the thread for you to check out. I found the information very interesting, even though testosterone boosters are not my thing. Let everyone know what you think of test boosters and if you&apos;d recommend them to others. This week, I chose a thread to put in the Random category again because I didn&apos;t know where else to really put it. Well, this thread is easily the fastest growing thread in Bodybuilding.com history. 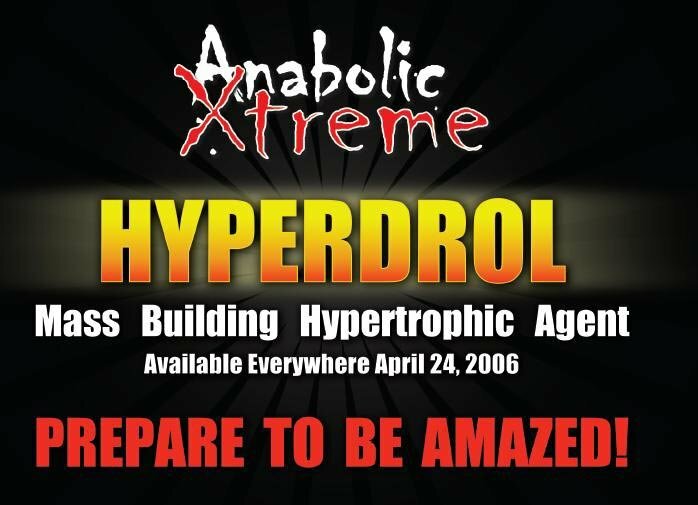 Anabolic Xtreme is releasing a new product called Hyperdrol and to celebrate, they are having a lottery drawing and giving away free bottles of Hyperdrol as well as free shirts. If you haven&apos;t posted in this thread yet, you probably should as you just might win a free bottle or shirt. Check out the madness here and see what the &apos;Hype&apos; is all about! Thanks, &apos;Regular_Ryan&apos; for this one. To View The List Of Hyperdrol Lottery Winners, Click Here. Yes, The Contest Is Already Over. For this week&apos;s workout log, I have chosen a training log posted by &apos;Jesin&apos;. Detailed and updated regularly, this workout log is one for the books. To View Training Journals Articles, Click Here. If you&apos;re looking to spice up your current routine or are planning to throw together a new split soon, check out this thread. Others have been kind enough to add additional tips and suggestions to the already solid plan. Follow allow with his progress, and see how his split can help you out, too! Eating on the run can be hard on the body if you don&apos;t know how to do it right. Sometimes eating at restaurants (fast food or otherwise) is inevitable. So, which ones are the most bodybuilder-friendly? In this thread, you&apos;ll find a list of restaurants that will provide you with a great selection of healthy meals. Learn the truth about your favorite fast foods. Find out how many calories, carbs, grams of fat, protein and whatever else the food you eat has. Learn how to make a healthy choice! Have you ever found yourself looking for a place to eat out with your significant other, worried about what they will offer to eat that won&apos;t hinder your fitness? Fear not! You will be able to enjoy fine dining again with the help of this thread. Check it out and go enjoy some food! Thanks to surfgod777 for this helpful thread.